It is the last “stop” on the #WonderlandHOP, I’m going to be so sad to see it come to an end. It’s been like Christmas opening my email each day to see what wonderful projects everyone has dreamed up! 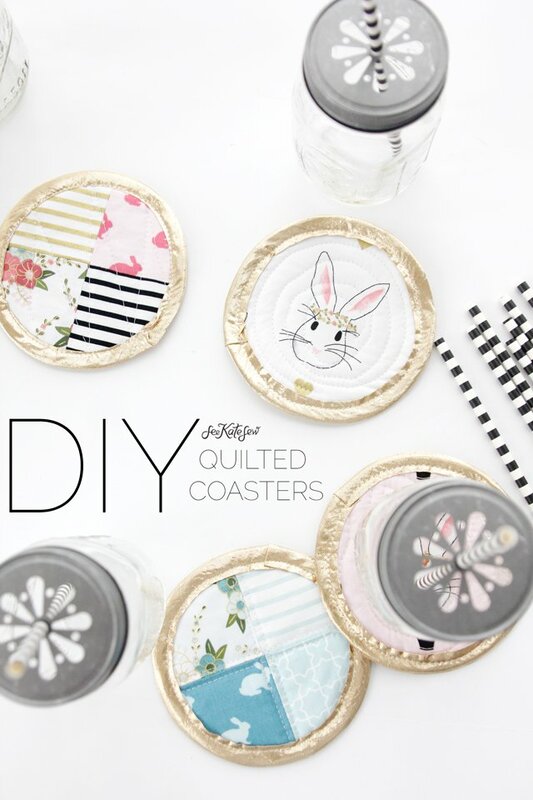 Make sure you check out this DIY Quilted Coaster Tutorial and Hot Air Balloon Easter Basket Ideas featured for today’s stops. 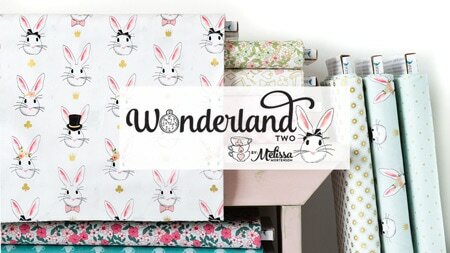 To see all the other projects shared during the Wonderland Hop just click this link. For a list of stores carrying the fabric just click the “MY FABRIC” link above. 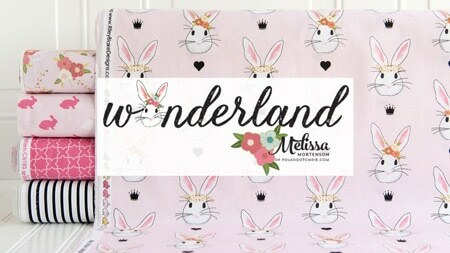 If you make anything with Wonderland fabric be sure to hashtag it #WonderlandFabric on and tag me @polkadotchair Instagram so I can see your creations! First up is Kate of See Kate Sew. If you don’t know her you should. 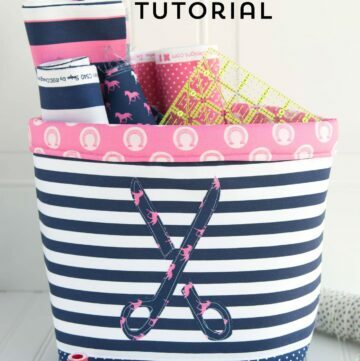 She shares the most beautiful and amazing sewing projects on her blog. 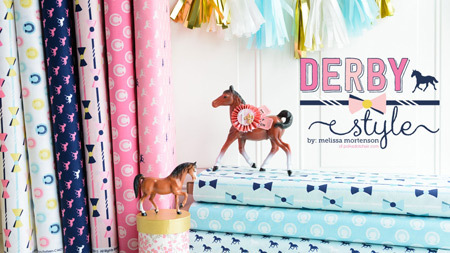 She also is a fabric designer with a new line of doll fabric due to be released this summer!! Kate, like me shares a love of all things pink and gold! She’s like my hero of “gold accents”. She is sharing a full sewing tutorial for these quilted coasters! Did you notice the gold bias??? Hello, HOW did I not know that existed!!?? 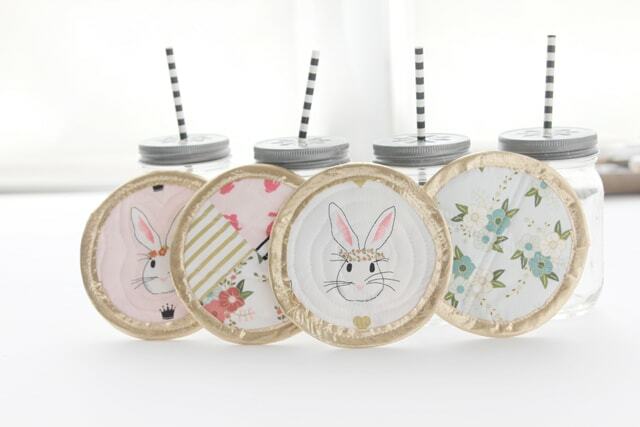 These coasters would be so cute for Easter or for a little girls birthday party!! I think I might have to make a few myself to keep at my desk. 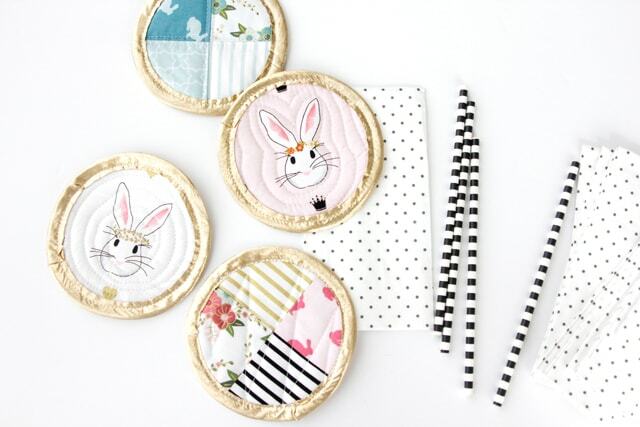 If you hop on over to See Kate Sew, you can find a full tutorial for the coasters!! Next up is Stef from Girl. Inspired. She always blows me away with all of her projects. She has a gorgeous sense of style and takes amazing photos. 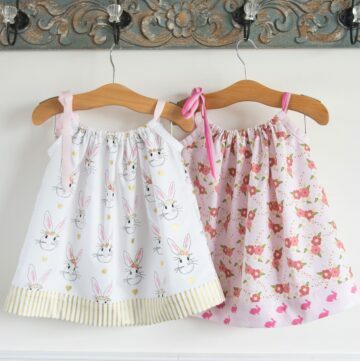 She loves to sew, and also share beautiful craft and party ideas on her site. 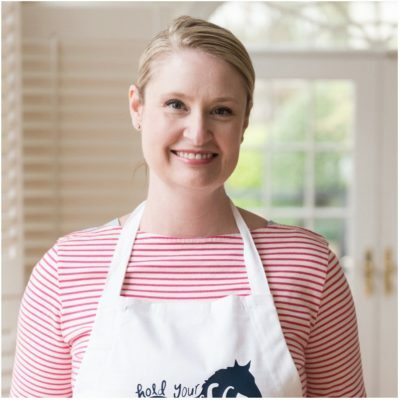 She has some delicious recipes, everything I’ve made of hers always turns out well. 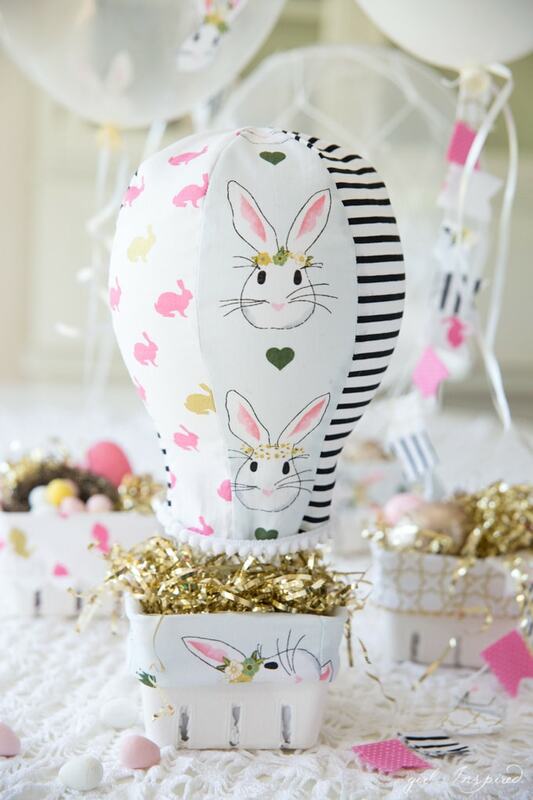 She is sharing a tutorial for these Easter Basket Hot Air Balloons, how cool are these?? 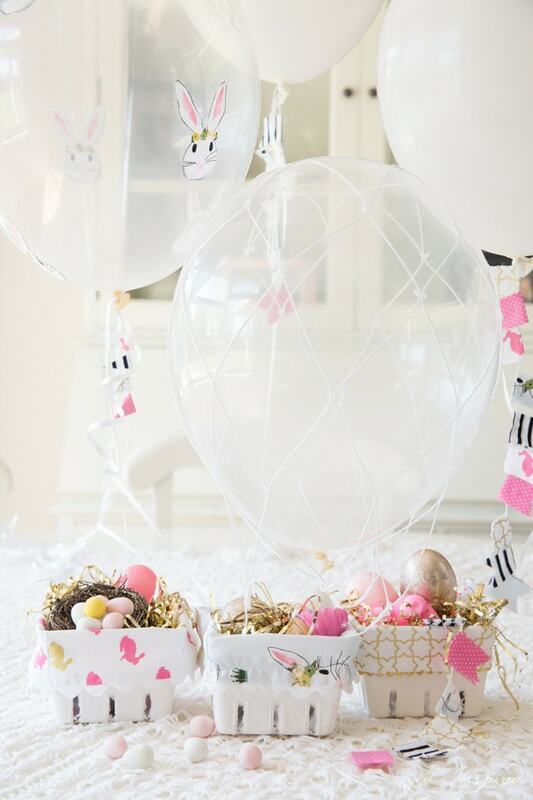 Did you notice that she modge podged the bunny head onto the balloons? Genius!! 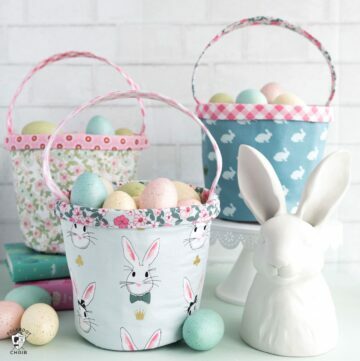 The baskets are just simple berry baskets and she shows you how to make the custom liners for the baskets and put them together with the hot air balloons. She also stitched up a hot air balloon!! Is that not just the coolest?? A little birdie told me the tutorial for it will be on her site soon!! 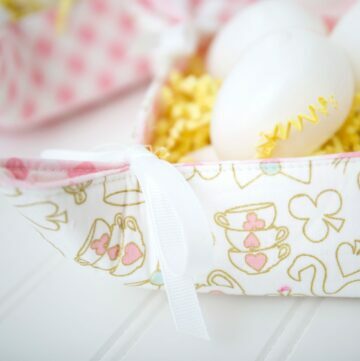 Hop on over to Girl Inspired to check out all the details and get the free sewing tutorial. 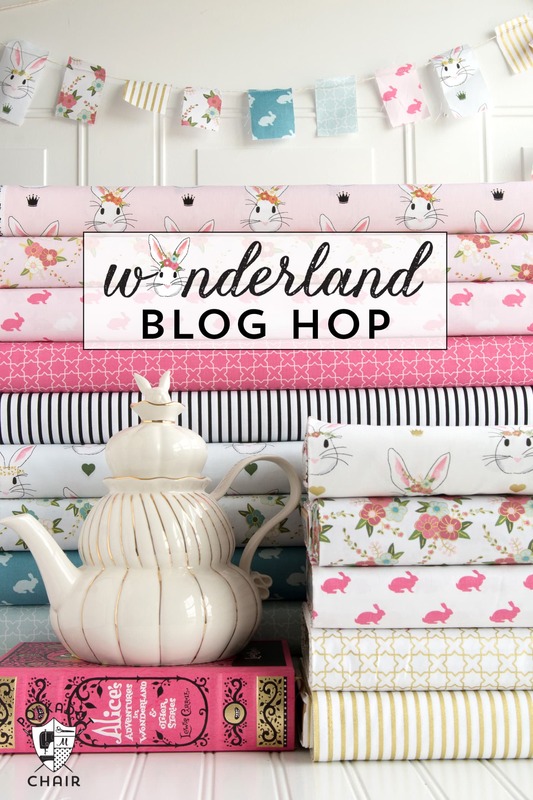 This marks the end of the official Wonderland Blog Hop, but it won’t be the last you see of projects made with the fabric. 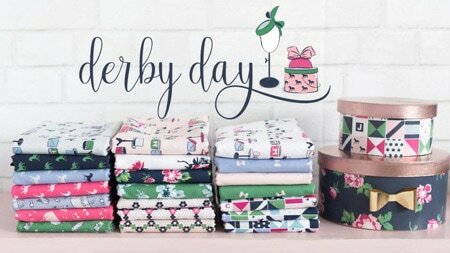 I’ve got a booth at Quilt Market to prepare for and lots of fabric calling my name!! On Monday I’ll be featuring a “sum up” of all of the projects shared during the hop along with a few other things that I’ve spotted on the web in the last few weeks. We will also be getting back to our traditional mix of sewing, craft and home projects in the coming weeks. I’ve been spoiled with all of these great projects and will be sad to go back to only posting for you guys 2-3 times a week!